Whether you’re a first home buyer, down-sizing or wanting more room for the family to grow, you’re sure to find your new dream home at Townsville’s newest display village, Elliot Springs. 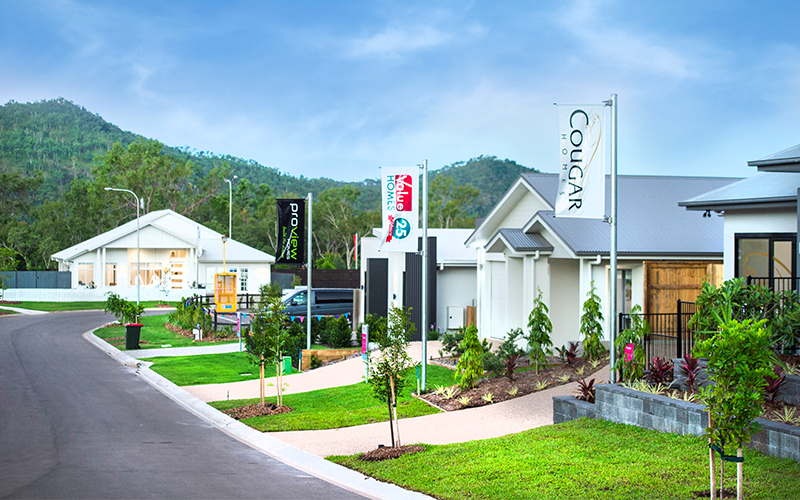 Visit Elliot Springs today to explore 14 beautiful new homes by 13 of Townsville’s most trusted builders. Experience for yourself the latest in open-plan designs and innovative trends, designed to perfectly suit the North Queensland climate and lifestyle. Elliot Springs boasts 360-degree mountain views and is located just 10 minutes from Fairfield Central and Murray Sports Complex. Open 10am – 5pm, Friday to Tuesday weekly. Public holidays times may vary, please contact individual builders and check details before visiting to avoid any disappointment.